NEW: Local Study & Tasting Groups website! In today’s spirit of collaborative study, the Wine Scholar Guild has created a platform for current and prospective students from around the world, whether enrolled in self-study or with a local program provider, to connect, collaborate, meet and taste via local study & tasting groups! Our member webinar schedule for this fall has been released! Don't miss our upcoming member webinars and get full access to 100+ past webinar recordings! We have a few seats left for our Loire and Jura study trips coming up this fall and only 48 hours left to register. Don't miss out! Loire and Jura trips won't be repeated until at least 2019. Don't miss this unique opportunity to travel to these two exciting wine regions with the best instructor one can dream of! Upcoming French Wine Scholar and Italian Wine Scholar sessions are currently scheduled at approved program providers around the world: United States, Canada, South America, Asia, Europe and Australia. 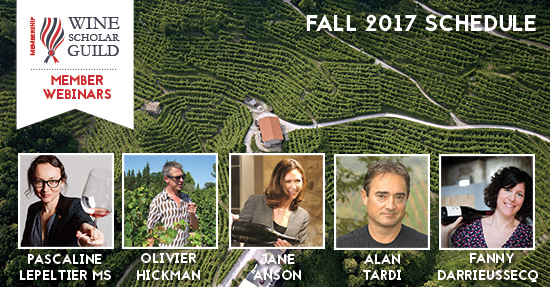 French Wine Scholar in Independent Study Format - with NEW 14-WEEK INSTRUCTOR-LED session launching Oct. 24th! At long last, we have begun development of our Spanish Wine Scholar program scheduled to launch in the fall of 2018! The program is spearheaded by Rick Fisher, a San Diego resident of Catalan descent. Rick’s passion for his Spanish heritage and a desire to educate others about Spanish culture, food, and wine led him to create Bodega: Eat. Drink. Explore. ESPAÑA! (www.bodegaspanishwine.com) in 2009. 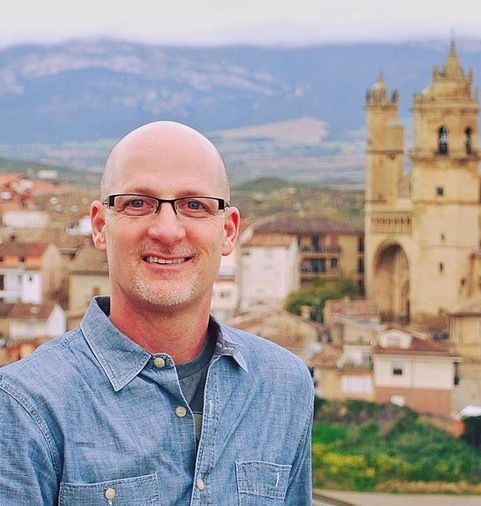 He joined the Wine Scholar Guild in June of 2017 to build our Spanish study and certification program. 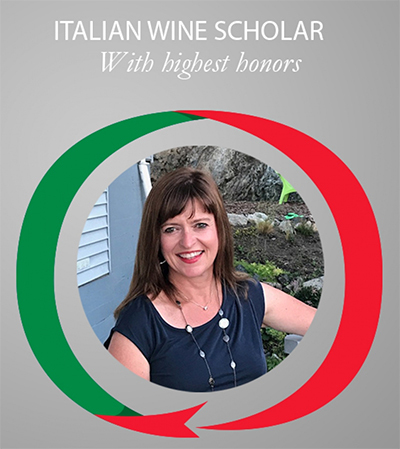 Congratulations to Karin Kallio, IWS, for passing the Italian Wine Scholar exam with highest honors with Cru Consultancy in Victoria BC! The Italian Wine Scholar has undoubtedly improved my knowledge of old world Italian wines and has, thus, boosted my confidence to sell Italian wine.